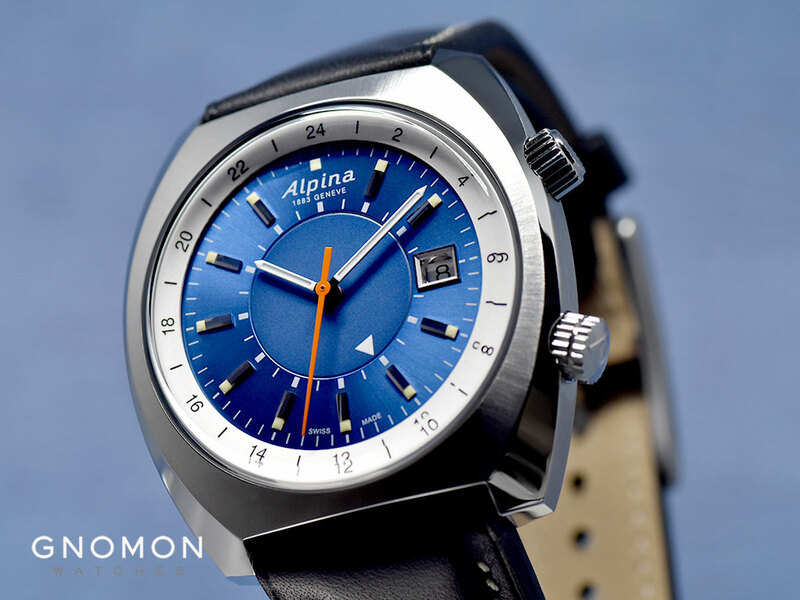 Have you seen this one from Alpina already guys? (Sellita), and nice leather straps. ok thats cool, i dig! Without a question this one will be on my wrist at some point. Last edited by Panerai7 on Fri Sep 14, 2018 10:30 am, edited 1 time in total. I love this brand more and more every watch I seem to see. 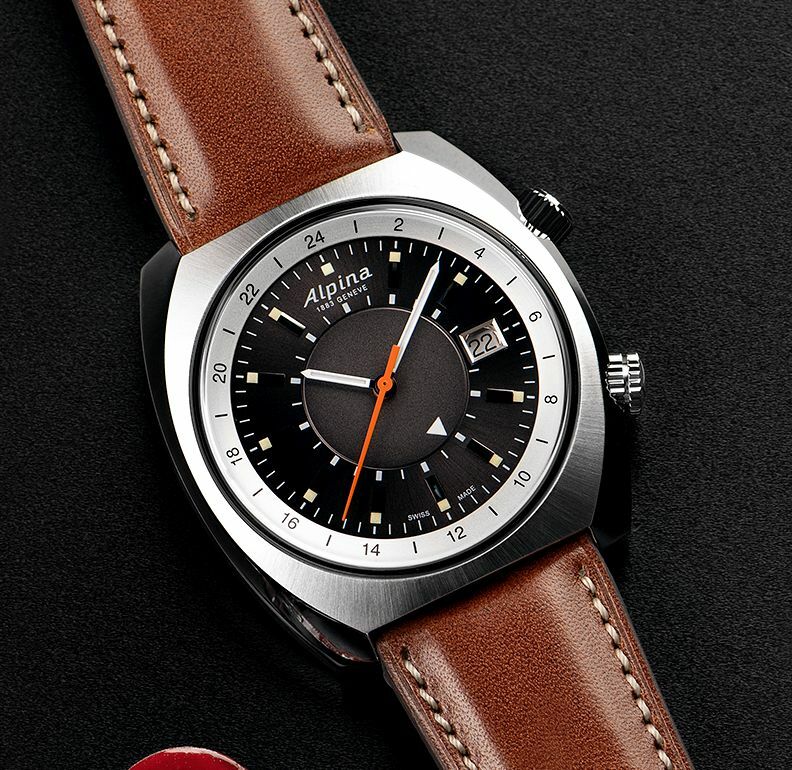 The Pilot Heritage GMT will go on my list right behind this one. 42mm x 40.7mm according to the TZ article. That should actually wear pretty small. Weird proportions, TBH. 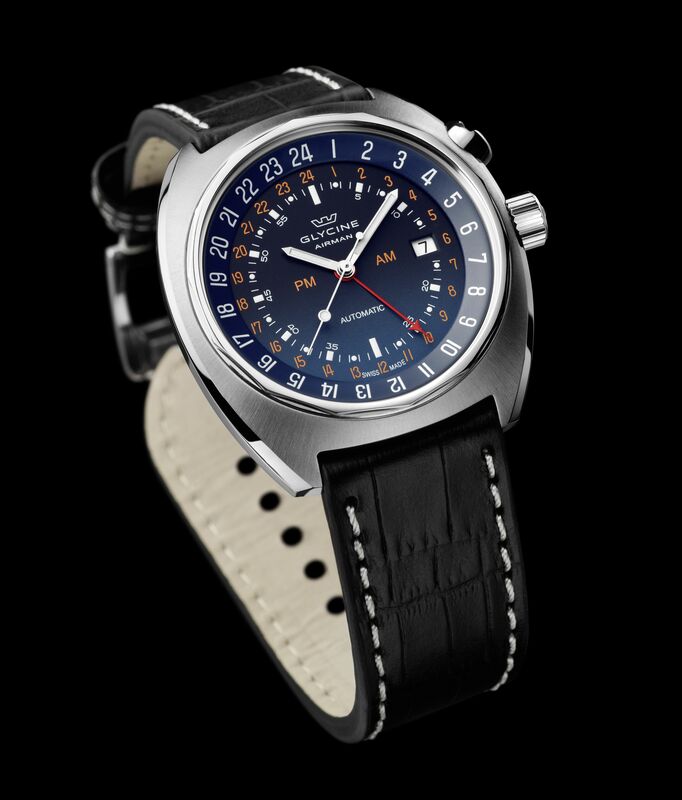 Reminds me a bit of the Glycine Airman SST, but the Glycine appears to have better proportions. almost looks like date window has its own little glass over it like my old Anonimo Pro did. There are 2 blue dials on Gnomon, I like glacier blue!! Quite nice. I really like that gold (champagne?) dial. I just picked up one of their older GMT’s (the one Brice owned) from a grey market dealer for a steal (about $550). I’m really looking forward to getting it as business travel watch. 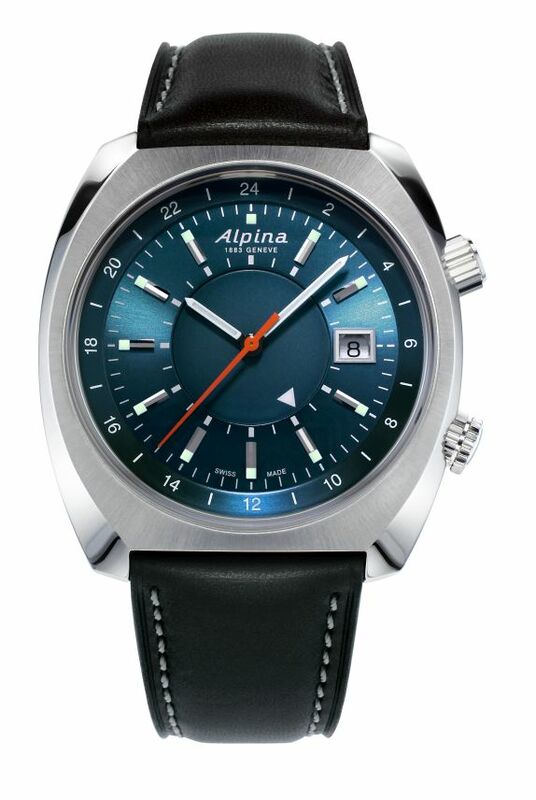 Yes, Alpina does do a cyclops, but they place the magnifier over the date window on the dial, not on the crystal. I think this is a really cool feature. Definitely getting one when the prices start going down. Thanks for sharing. Some coverage of the watch on Hodinkee. Looks like lug width is 23mm. Dig it, but if I've gotta nitpick, it's that sometimes you fly to a timezone that's behind your current one. Isn't the whole point of an independently adjustable hour hand that it goes in both directions? Otherwise, I'll just take a standard 2893. Where did you see that? Not doubting you, but it wasn't on the review or the Alpina site. I'd probably wear it on leather anyway (or canvas), so the odd lug width wouldn't bother me too much. 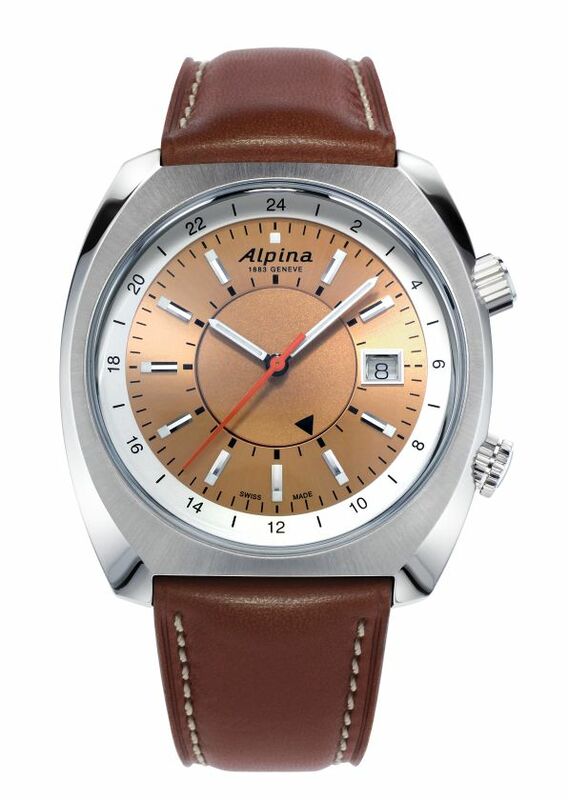 FWIW, I've been wearing my older GMT Alpina (same movement) quite a bit and it has proven very accurate. I've not reset it since receiving it about 2 weeks ago and it is now at about 1 minute fast (as measured against my PC clock). I can't argue with that at all. 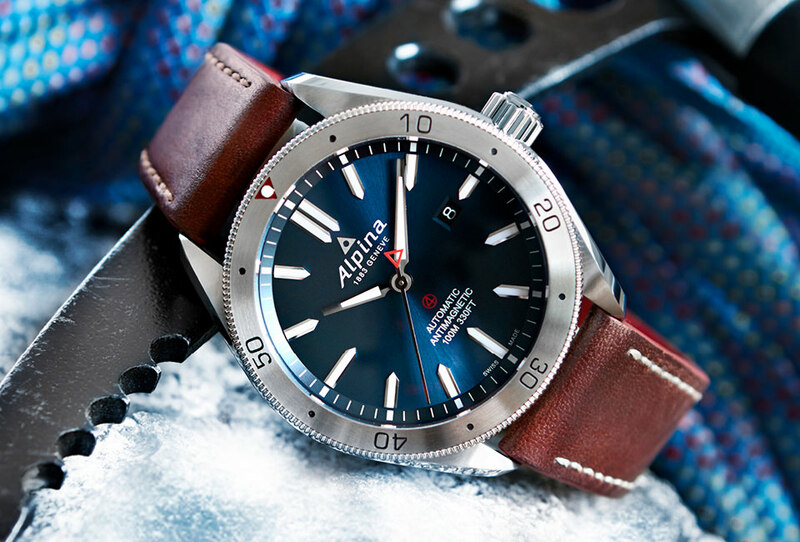 Given the positive experience I've had with this Alpina Ice Legacy GMT, I would not hesitate to recommend one of these if someone needed a GMT watch for travel purposes. My only nits to pick with this design are the rotating GMT disc, while an interesting design feature, isn't as intuitive to read as a fourth hand and, if the inner bezel is supposed to rotate, I'm not certain why the numbers on the "12" side of bezel aren't inverted. To be honest, I'd probably use the inner bezel about as often as Eric uses his chronographs, but it seems odd that if I did, the numbers would be upside down when at the top of the dial. In this case you would simply rotate the hour hand forward around the dial until it gets to the local time you want to display. The date wheel is actually tied to the GMT / home time zone, so the only draw back to this design is, depending upon how far off you are, your date could advance at an odd hour. Ross at EJC luxe has these at a great price now. I may grab one. Website? Prices? These look real nice.